The original repeaters callsign was supposed to be GB3SY (SY for Stornoway) but this had already been allocated to a South Yorkshire repeater operating on 70cms. The present callsign GB3IG was given the suffix 'IG' meaning Innse-Gall, the old Gaelic name for the Western Isles meaning 'Land of the Foreigners' (or Land of Strangers). The original GB3IG was situated at Bennadrove co-located with local emergency services. The Bennadrove site gave very good coverage around the town of Stornoway and across to the mainland but lacked cover around the rest of the island and it was decided to pursue a different site, hence GB3IG was moved to Eitseal, Achmore located centrally on the the Isle of Lewis giving good all round coverage of the island and the west coast mainland. Once the original IG was relocated to the new Eitseal site it was decided that the current setup was a bit dated. Following an A.G.M of the Stornoway Repeater Group it was unamiously decided IG was needing attention every few months and it was the intention of the group to pursue a replacement. 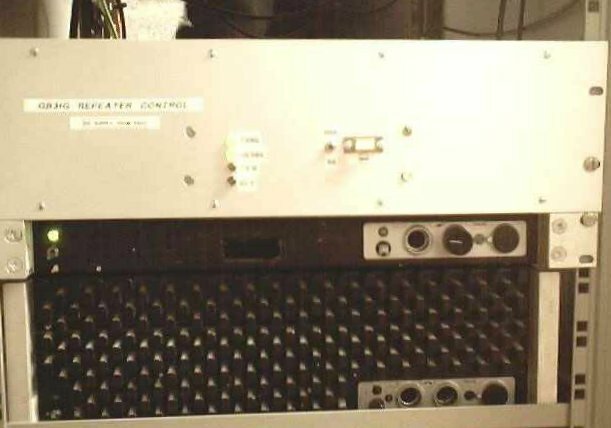 A Kenwood TKR-750 repeater system was purchased and G8CUL logic was built and tested by a member of the Stornoway Repeater Group (SRG) and co-located with the repeater.